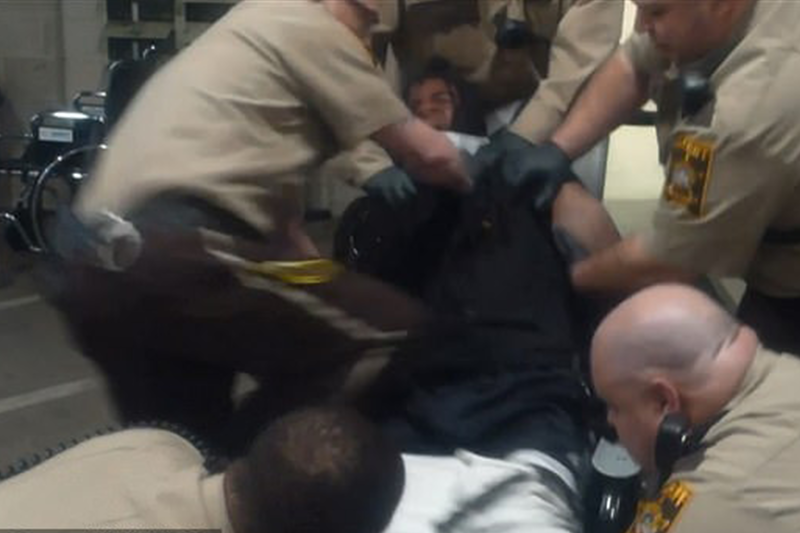 Disturbing footage shows a Minnesota jail officer punching and kneeing a handcuffed black man who can be heard pleading for his life as other officers restrain him. On Monday, Ramsey County Sheriff Bob Fletcher released video of the 2016 incident, which happened before his term. Travis VanDeWiele, who is white, pleaded guilty to misdemeanor disorderly conduct last month and has resigned his post after footage shows him viciously assaulting an African-American suspect.